President of Pakistan, H.E Mamnoon Hussain, has said on Wednesday that matter of establishing an IIUI campus in Kingdom of Saudi Arabia (KSA) has been discussed with the leadership of KSA and Pakistani government would keep pursuing this constructive project. This he said while addressing a seminar on “Islamic Banking and Finance in Pakistan: Prospects and Challenges” which was organized by the Islamic Research Institute of (IRI) of the university at its Faisal Masjid campus. 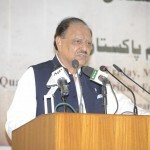 “Menaces of Interest and corruption have crippled the society and Islam abhors interest, it is termed as war against Allah and Prophet (PBUH)”, said Mamnoon Hussain while speaking on scope of Islamic banking and its challenges. He said that interest can be curbed by establishing a well-devised strategy with the help of banking experts and Islamic scholars. “Universities have integral role in discouraging the peril of interest as they can promote the culture of research specifically in the field of Islamic banking which would pave the way for success of society and extinction of interest based environment” he furthered. 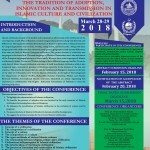 The IIUI chancellor hailed the university for introducing degree programs of Islamic economics and finance while saying that it is playing vital role in producing skilled professionals of the relevant field who acquire education integrated with teachings of Islam. He said that work of IIUI is an omen of reaching the destination which is establishment of an interest-free society. The President of Pakistan maintained that world has now focused on transparency of Islamic financial system and number of countries have adopted it because the Islamic banking system is a complete mechanism of providing equal share to all the individuals of the society. He was of the view that contemporary circumstances have revealed that strong economy leads to the strong political system which is a guarantee of states’ stability. He added that, keeping in view the fact, government has commenced various developmental projects in power sector, trade routes and ports to stabilize the country’s economy. President of Pakistan urged for practical steps to abolish interest while saying that the situation is more likely to prevail if we continue to await the divine help sans moving a step forward. Speaking to the seminar, Deputy Governor State Bank of Pakistan, Saeed Ahmed portrayed the prevailing scenario of conventional and Islamic banking. “35% Pakistanis do not want to participate in the banking system because of interest” he told. The state bank official said that interest based financial system violates the rights of laymen and it deprives them of their due share. He apprised that government has taken serious steps to discourage the interest and a steering committee by the government has been devised in this regard to reach on “tipping point” with an objective of bringing 50% Islamic banking consumers from present number of 13%. He furthered that centers for excellence on Islamic banking are being established at the universities to create enabling milieu for the Islamic banking system and finance. He said that as many as 21 banks have adopted that Islamic banking system. While talking about the challenges to the Islamic banking and finance, Saeed Ahmed said that lack of research, absence of qualified human resource and inadequate representation of Islamic scholars in the solution has led to the constraints in the smooth establishment of a functioning Islamic banking system. He urged for research and promotion of SMEs with a focus on micro-financing. 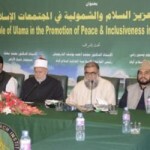 Mufti Muhammad Rafi Usmani of Dar ul Uloom, Karachi, said in his speech that the biggest challenge being faced by Muslim world is interest which can be solved with a well cooperated strategy devised by the Islamic scholars and banking experts in the light of Islamic teachings. He also lauded IIUI for its active role in eradicating the threat of interest. Dr. Masoom Yasinzai said that west has turned its focus towards Islamic banking because of its transparency and many western varsities are offering Islamic banking and finance degree programs. He added that Islamic banking and finance has a bright future in Pakistan and Muslim world and few countries have approached IIUI to provide them varsity’s qualified human resource to solve their economic issues. He emphasized that without appropriate role of Islamic scholars, the dream of a functioning Islamic banking system is impossible. He said that services of IIUI’s Islamic baking experts are always available and university would be happy to have a centre for excellence on Islamic banking at its campus as it can play a pivotal role in the solution of prevailing economic issues. IIUI President, Dr. Ahmed Yousif Al-Draiweesh said the Islam discourages interest and prevailing situation calls for taking emergency steps to address this imperil with the help of educational institutions and Islamic scholars. He apprised that IIUI, through its International school for Islamic Economics, has been serving Muslim world for last three decades by producing highly skilled Islamic economists who have capabilities to address the issues such as establishment of interest free society. Earlier, Dr. Muhammad Zia ul Haq, the IRI Director apprised about the objectives of the seminar by telling that the activity was aimed at reviewing the prevailing economic system and finding ways to address challenges to the Islamic banking and finance..